With a break in the weather and the sun making a brief appearance today it gives us time to see the real damage done around the coast before the next batch of storm weather and waves come crashing into our county. Over the last few days I have been out with my camera photographing the damage caused by the ocean I love so much, there has been extreme damage, costly damage and heartbreaking damage. But one of the things that is really effecting the beaches is the amount of rubbish that is washed up on the shoreline. It will take many hours and lots of volunteers to help clean up the mess created by the litter, whilst the councils and governments go to work repairing the physical damage. Together we will get Cornwall back on it's feet, but it will take hard work but we will get there and Cornwall will be beautiful once again, until then we all need to stay strong whilst the next storm comes in tonight and hope the coast doesn't get any worse. This collection of images have been taken since the first storm in January 2014 until just this week and only cover Fistral, Perranporth, Mawgan Porth and Watergate Bay. With over 300 miles of coastline in Cornwall there is a lot of damage and a massive clean up will be needed in every beach, cove and harbour across the duchy. 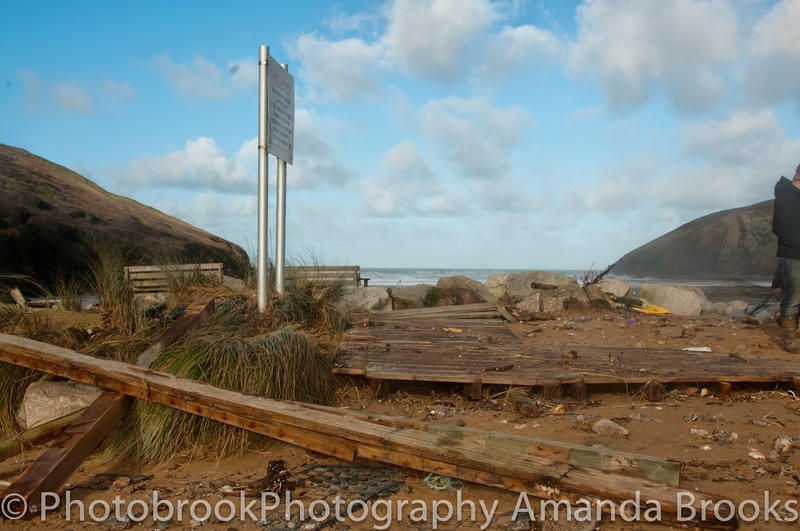 To see more pictures of not just storm damage but Cornwall looking beautiful visit my Facebook page.